Keeping up with our favorite celebrities’ hair is a full-time job in and of itself. From drastic color changes to major cuts and changing styles, celeb hair transformations certainly keep us on our toes. There are way too many to list, but these 11 strand switch-ups are a few of the ones that stand out to us. 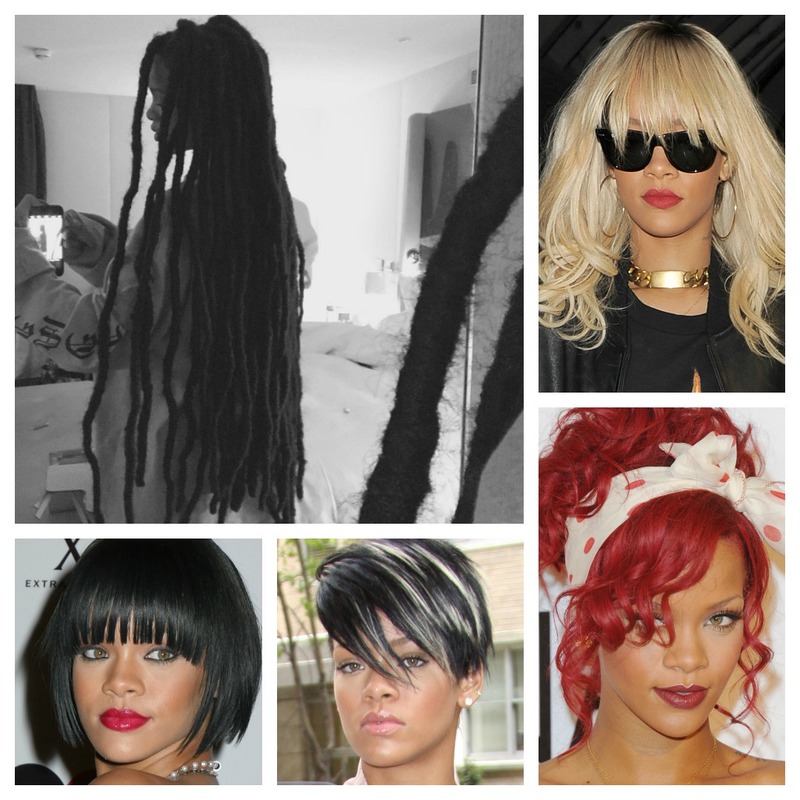 After debuting simple, light brown locks when she first hit the music scene in 2005, RiRi has changed her hair more times than we can count. Long, buzzed, blond, red — you name it, she’s rocked it. The “Work” singer is known for her experimental style and changing her hair just as often as she changes her clothes. Most recently, she posted a picture on Instagram with dreadlocks, proving she is a style chameleon that always keeps us guessing! There are few hair changes bigger than an abrupt pixie, and we were certainly floored when Michelle Williams lopped off her long blond mane in favor of a bold pixie. In spite of the initial shock, we actually have come to like Michelle’s shorter ‘do and are excited to see her experimenting with bangs, layers and hair accessories these days. 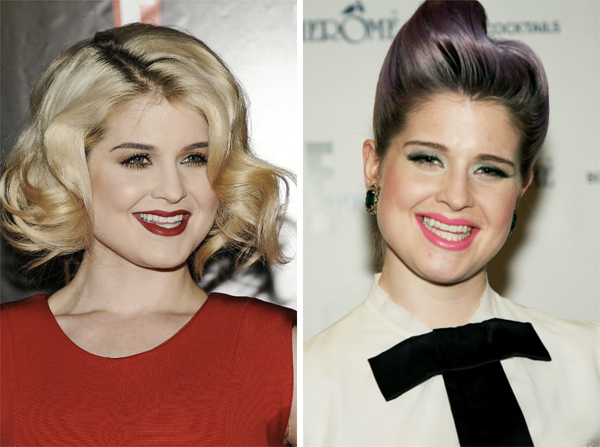 Bold hair definitely seems to run in Kelly Osbourne’s family, so when the Fashion Police star dyed her blond hair gray and then purple, we weren’t exactly shocked. Since then, she’s toyed with different shades of purple and varying looks like bangs. We never thought we’d say this, but we kind of like the purple! It suits her personality. Lady Gaga has been flying under the radar for a while now due to a hip injury, but we’re sure she’s still having a ton of fun experimenting with different ‘dos. Mother Monster sure does have a lot of different looks under her belt at this point, and we’re sure she’s going to shock us some more when her new album comes out. 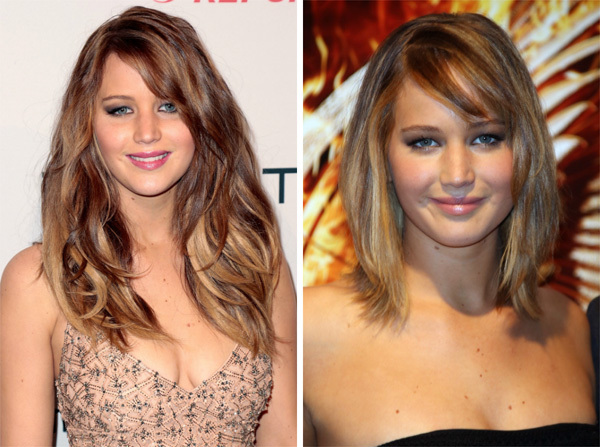 JLaw is no stranger to color changes — she frequently switches between blond and brunette for film roles — but her long, wavy hair has been her signature look for quite some time. So you could imagine our surprise when Jen recently chopped her locks into a beachy lob (long bob). We love the look, though, and think her longer hair was kind of dragging down her face a bit. What’s blue and purple and pink and black? 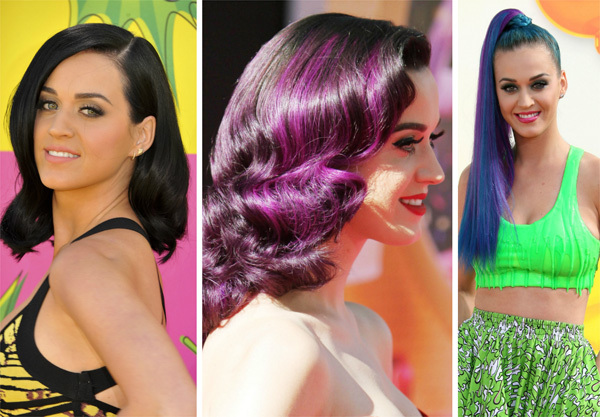 Katy Perry’s hair repertoire, that’s what. The pop singer isn’t shy about changing her hair and pushes the limit with bold hues most of us would only dream to rock on Halloween. Our fave look? Black! Anne Hathaway’s shiny brunette locks first caught our eye in The Princess Diaries when she portrayed a teenager turned princess. We have always envied her hair, so we were floored when she decided to transform it into a messy pixie for her role in Les Miserables. Even more of a shocker? 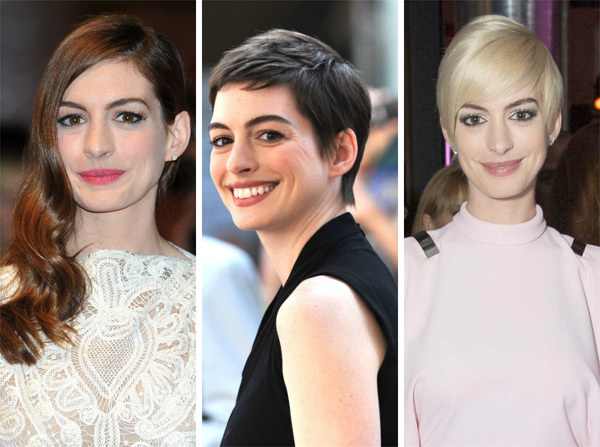 Just when her pixie started to grow in and grow on us, Anne briefly dyed her locks blond. What will she do next? 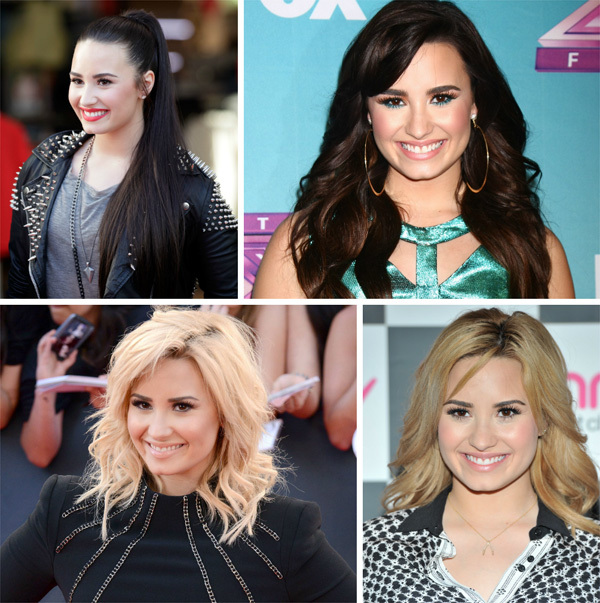 Demi Lovato recently joked on The Ellen DeGeneres Show that she changes her hair with her mood, and we believe it! The singer has sported what seems like every color of the rainbow in recent years and frequently switches up the style of her look too, experimenting with bangs, layers and lengths. In our opinion, she looks best with medium brown, shoulder-length locks worn with sideswept bangs! What hair transformation article would be complete without a shout out to the one and only Nicki Minaj? The singer and former American Idol judge lives for fashion and beauty changes and has sported more hair colors than we can list. These are a few of her more notorious looks! The “Call Me Maybe” singer should’ve called a friend to get a second opinion before dyeing her black locks red. We’re not big fans of either hue — with her pale complexion, we think Carly would look better with a soft brown — but the red definitely isn’t doing anything for her. From Spice Girl to major designer, Victoria Beckham has always had fun with her hair. The mom of four and wife of hottie David Beckham has sported short brown hair, short blond hair, long brown hair, long black hair — you get it. We love it when she rocks chocolate brown medium-length hair worn sleek and straight!